In order to achieve blog success you need to incorporate healthy blogging habits into your daily lifestyle. Don’t worry – they aren’t complicated! In fact they are simple and straightforward. You wouldn’t think these seven blogging habits would be habits at all really, rather they are guidelines you need to be reminded of. Don’t let your voice get lost in the vast sea of blogs! Answer this question: Why did you start blogging in the first place? Was it to join in on the conversation? Or to be a leader in your industry? Maybe it was to have a place to publish your writing as a portfolio of sorts. Whatever the reason, remember why you joined the blogging community in the first place. Be sure that all of your posts relate back to why you became a blogger. The key word here is quality. 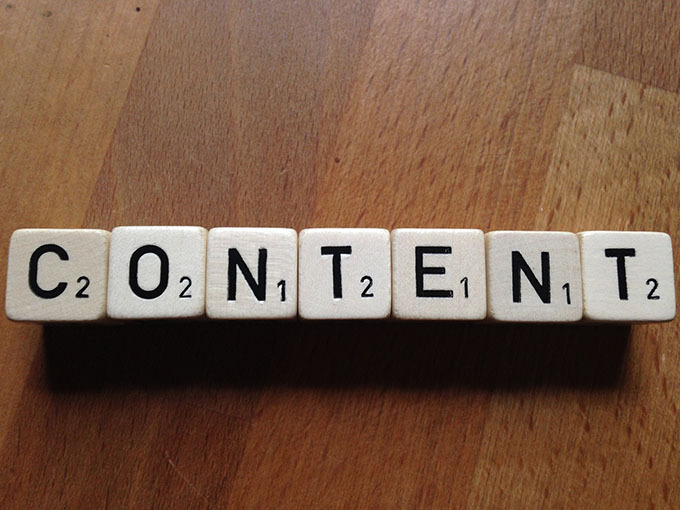 Writing quality content adds to your blog (or your business’s!) credibility. This means you should back up all your claims with evidence. Take your time writing your blog posts to achieve high-quality content. It’s better to take your time writing something that will drive readers to your site than to draft copy with “fluff” that won’t get you or your business any leads. “Fluff” is a term used to describe superficial writing, and it should not be present in any of your blog posts. There’s nothing worse than clicking on a blog to find that there’s no useful information available. Readers today have been skimming through writing since middle school and high school. The best way to make sure your readers are actually reading your content is to write concisely. Get your point across and get it across quickly. Avoid fluffy sentences at all costs. Click here to learn how to create a great blog outline. In order to increase a following you need to be consistent in these three areas: posts, topics, and brand. You need to post fresh content on a regular basis, and you need to stay on-brand and on-topic in your posts. This means you are always relating back to your niche and you are maintaining consistent voice throughout. Life gets busy and when that happens, the blog usually falls behind. 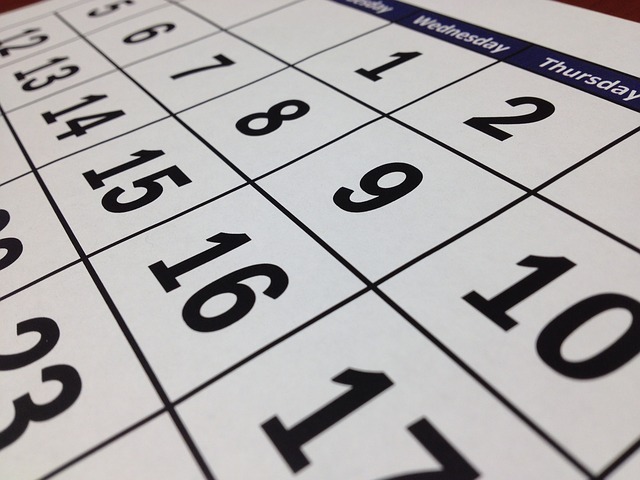 Create a schedule or an editorial calendar to stay consistent. Plan out the topics of your posts based on the time of year (i.e. holidays/celebrations) or weekly/monthly features (highlight of employee of the month or DIY Thursday). All successful bloggers know how important it is to engage with fellow bloggers and readers. Cultivate a relationship with them. They are more likely to share your blog and help increase your following if they see you are trying to put in effort. 7. Join in on the Conversation and Be a Leader. Join in on the conversation, but don’t regurgitate information. Be a leader in the industry! Good luck establishing these blogging habits! If you need help with your blog, call Divvy! Divvy provides marketing consulting, SEO, social media, AND blogging counsel. Call our office at 801-224-8666 or fill out the contact form below. Beginning a marketing campaign can at first seem overwhelming, but by remembering these five steps for creating your first marketing plan, you can find success for your business. Before you say anything to your customers, decide what you’re trying to say. Why are you providing your product? How will your product change lives for the better? That’s what customers will ask themselves when they see your merchandise, so be sure you can answer their question. What age group will be most interested in your project? Is there a gender your product will most appeal to? How social is your audience? What financial situation are they in? Once you know who your audience is, you can focus on them. This saves you time and money, while providing the people who need your product with what they need. Consider your product’s strengths: what can you provide that no one else can? What makes your product the best? You’ll also need to consider your product’s weaknesses: what will stop people from buying your product? Knowing your product will help you identify opportunities: is there a convention your product is ideal for? Are there conventions you should avoid? Also be aware of threats: who is the competition? How will they be competing? How can you prove to your customer that your product is the best? Once you can answer these questions, you can successfully market your product. After you’ve selected the appropriate budget for your marketing plan, get creative! Facebook, Twitter, Pinterest, LinkedIn, and Google Plus are great ways to engage with potential customers, but they aren’t the only way. Try to create something that will appeal directly to your target market. Consider direct mail advertising campaigns, coupons, book marks, etc. Regardless of the method you use to carry your message, be sure to provide a clear call to action. Most importantly, when you interact with your customers in a personalized way, follow up. Show your customer they are important. Finally, keep track of your progress. If you aren’t seeing positive results, it will be necessary to reevaluate your marketing plan. Analyze the previous steps to ensure you’re approaching the correct target market in the right way, and that you’re being clear about what you’re selling and why people need it. Finding the correct approach may take time, but in the end, your business will be more successful with a proven, powerful marketing plan. Understanding customers can be the most difficult job for any business owner. Whether small or large, all businesses must dedicate time, effort and money to figuring out what drives their customers to engage and make purchases. To help you navigate this often tedious process, try building buyer personas. Buyer personas are carefully planned and researched models of your existing customer base. Large companies can afford to spend millions of marketing dollars researching the attributes of their customer, but most businesses need to learn to do that themselves, which is why we’re offering this nine step guide to building buyer personas for your business. As obvious as it sounds, you need to know whether your products appeal more to men or women. Are more women buying your product than men? Are they buying it for themselves, or for their spouses? Even if your product doesn’t naturally assign itself to a particular gender, you may find buying trends that are gender specific, helping your figure out a better way to market your product or service. Age is a relatively easy statistic to collect, and it’s also one of the most useful pieces of data. With age you can assume what types of values your audience identifies with, what channels they’ll be using to communicate, as well as average income and spending trends. If your product is targeted at teenagers, you’ll want to be sure you’re using digital and mobile advertising tools to reach them. If you’re selling something like hearing aids, and you know the people buying those hearing aids are elderly, advertising through the newspaper or television may be more effective for you. Discovering a common profession among your customers is valuable. If you were a hardware store and the majority of your customers were construction workers, you would want to market to them differently than an average person buying tools for a weekend project. Professional users are looking for the best tools, while the laymen is most likely looking for the cheapest deal. Understanding your target audience’s financial situation can be extremely helpful. This does not mean you need to know what your target buyer has in their checking account, but rather how much they are willing to spend. This statistic can help you drive pricing and advertising. Your product is the core of your marketing, so it is crucial that you understand what your customers use your product for so you can market the purpose to them. Some products have a clearly defined purpose, like shampoo, but if you sell fabric that could have multiple applications, you need to find out what your customer does with that product after they make the purchase. Understanding the education level of your ideal buyers will drive the way you market your product to them. People with more education process information differently. For instance, if you’re selling a technical software to customers with a high level of education, utilizing statistics and even jargon in your marketing message may be a good idea. If you customers tend to be less educated reviews and testimonials may work better than data in persuading them to buy. You cannot know your buyer persona too well. Knowing their hobbies, interests, and how they spend their free time can help you integrate your product into their life. To understand this attribute you need to know what influences your buyers to make a purchase. Is it the price, features, resell value? The reason your customers pay for your products is essential to create effective marketing. One last helpful bit of information is what other purchases your target customer makes. This lets you know what else they are looking for, and gives you an opportunity to fill or supplement that need. Collecting the right kind of customer data can drastically improve your marketing and your products. If you could use help with marketing, whether it’s print, social media, digital or strategy, Divvy by Alexander’s can help. Let us know.